A printer is an output device that produces text and graphics on paper. 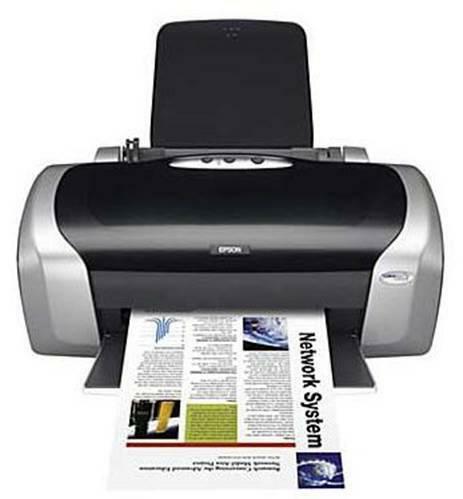 inkjet printers :- Inkjet Printers Inkjet printers are non-impact printers which print text and images by spraying tiny droplets of liquid ink onto paper. dot matrix printer :- Dot-matrix printer is an impact printer that produces text and graphics when tiny wire pins on the print head strike the ink ribbon. multifunction printers :- It is also known as all-in-one printer or multifunction device, which includes several functionalities including printer, scanner, copier and fax. What are impact printer ? impact printer are Refers to a class of printers that work by banging a head or needle against an ink ribbon to make a mark on the paper. This includes dot-matrix printers, daisy-wheel printers, and line printers. In contrast, laser and ink-jet printers are nonimpact printers. The distinction is important because impact printers tend to be considerably noisier than nonimpact printers but are useful for multipart forms such as invoices.